Beth Sprinkle has been with us since May of 2013. While not doing her receptionist duties at the hospital, she can be found reading a good book or working on one of her latest craft projects or recipes. 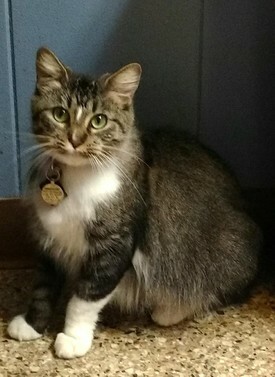 She and her husband have two cats, Sophie and Frankie, which keeps them on their toes by stealing ribbon or sneaking treats from the counters. 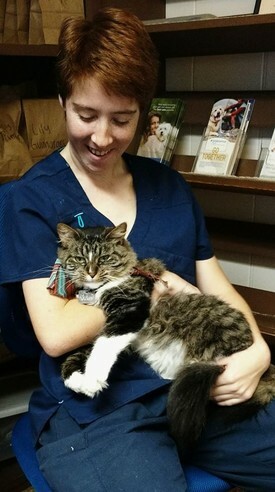 Olivia Schrader started in March of 2016 as a Veterinary Assistant and is currently going to school to become a licensed Veterinary Technician. On her off time, Olivia can usually be found in the woods camping and canoeing with her dog Harley Grace. She also has a special interest in photography. Rusti Holmes is the newest member of the FVH team. On her off time, you can find Rusti playing with her two rescue dogs Emma and Clyde. Rusti likes writing down new ideas for her screenplays and rehearsing for her latest play. 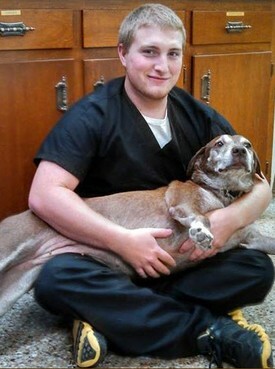 Adam Ainsworth has been working with Foley Vet on and off since he was 16 years old. He is the oldest son of Dr. Ainsworth. Adam spends his time between Foley Vet and Pensacola State College, where he is studying structural engineering. After graduating Gulf Shores High School, Adam went to work for Economy Car Service and ST Aerospace which guided him to a career in the engineering industry. Adam grew up with a German Shepherd (Bear) and 2 poodles (Sparky & Charlie). Now he helps to take care of all the family members: George (mix), Missy ( poodle & Chihuahua mix), and Bug (long hair chihuahua). As an animal lover, he enjoys his job and helping out where ever he can to help a pet. Nana is out greeter and feline blood donor. 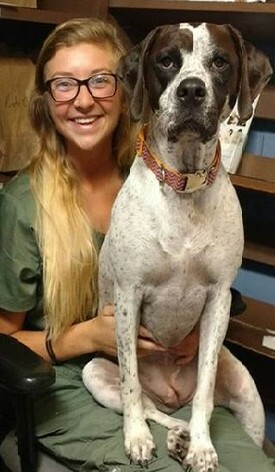 When on the clock, she spends most of her time on the receptionist counter begging for a scratch or two. On her off time, she is always on the hunt for a snack, or even better, someone else's dinner !!!! !